Lora Cecere, Supply Chain Insights is focused on delivering independent, actionable and objective advice for supply chain leaders. If you need to know which practices and technologies make the biggest difference to corporate performance, turn to us. We are a company dedicated to this research. We help you understand supply chain trends, evolving technologies and which metrics matter. Does the supply chain space need another conference? There are far too many today. Most follow a format of sponsors, paid speaking and booths. The same content gets hashed again over and over. In this podcast, Lora makes an argument for the need for a different kind of conference. One where business and technology leaders roll-up their sleeves together and imagine the supply chain of the future together. With 95% of the industry stuck at the intersection of cost, customer service and inventory, Lora thinks that it is important to challenge the status quo. So if you are planning to go to industry events which often focus on functional excellence of source, make and deliver, consider stepping up to the plate to Imagine Supply Chain 2030 in an event designed for extreme networking of supply chain innovators. This year’s event is in Chicago on September 3rd-6th. #supplychain, #conference, #imagine, #2030, #new technologies. How can you balance opportunity against risk if you don’t understand the factors? Join this webinar to gain insights on recent research. Learn from experts as the guest panelists share their wisdom of how to best manage supply chain risk in this ever-changing world. 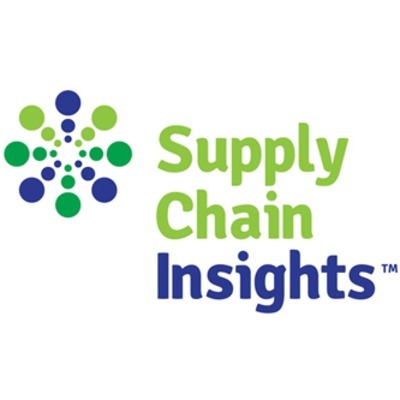 In this special episode we hear from Alina Beskrovna, Research Director, Supply Chain Insights and her observations about the great supply chain conference that many people from around the world attended, hosted by Lora Cecere of Supply Chain Insights. Lora talks with Nick Lynch of Shell Oil in this in depth conversation about past and present supply chain needs and changes as well as the digital aspect. In this episode Lora talks with Deanna Denton of Corning covering a great topic - AI and the labor market changes in the global business market place. In this episode Lora talks with Kim Ballewske, Director of Distribution at La-Z-Boy about digital processes and the changing environment today.